Breaking news from space! The bad: an intrepid captain and his men have landed on a planet where males are outlawed. The good: some women there are eager to break the law. Eric Fleming plays the granite-jawed leader who shares with his crew the crime of maleness. 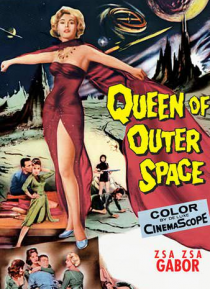 Meanwhile, the man-hating Venusian Queen aims to destroy Earth once her Beta Disintegrator is operational.